GENESIS-MINING aims at the average Joe and as well at the bigger investor. They aim to be one of the most competitive cloud mining providers out there. You can start off with a 20 GHS (Gold) Bitcoin mining contract for 15.99$ to get a nice overview of the service they provide. If you look for something bigger you can purchase 1000 GHS (Platinum) for 779$ or 10000 GHS (Diamond) for 7699$. Currently they are out of stock for Altcoin mining / Scrypt contracts. Their website is very clean and has a very appealing design. We really like how easy it is to set up an account with them and start mining. When you signed up, just fund your account with some Bitcoin and choose a mining plan that suits your needs. If you don’t want to pay with your precious Bitcoin you can pay by bank transfer, Litecoin, Dogecoin and Darkcoin. In the near future they will accept credit cards too! Altough GENESIS-MINING started their business only some months ago, they have large record of keeping existing customers happy by upgrading their Scrypt hashrate for free, so their contracts remain profitable! There is not one single customer they have ever let down! Once you got your account funded with GENESIS-MINING you will start to mine instantly. Owners of a Bitcoin mining contract do not need to do anything, just watch and see yourself how the Bitcoins are flowing in, however if you bought / own a Scrypt mining contract now is the time to allocate your hash power. You can allocate all your hash power to AUTO, which will mine the most profitable coin and exchange your earnings to Bitcoin for daily payouts. But thats not it, what really made us happy and excited to see is that you can split up your total hashrate to different coins. As of September 2014 you can distribute your hash power to: AUTO (Bitcoin), Litecoin, Dogecoin, Auroracoin, Feathercoin, Blackcoin, Lottocoin, Megacoin, Reddcoin and Feathercoin. You are even able to vote via a Facebook poll which coins that they should add next into their mining portfolio. This clearly proves that GENESIS-MINING is listening a lot to their customers and their desires. The ability to mine your own portofolio of Altcoins remains unique in the cloud mining world and is only provided by GENESIS-MINING. This is definitely a step in the right direction by giving the customers more options on how to use their scrypt mining contracts. Unlike many others GENESIS-MINING does not deduct any hidden fees. GENESIS-MINING has not only a very appealing design but scores as well with a outstanding mining dashboard. Within the dashboard you can see your current mining stats, earnings in US Dollar, mining allocation and transactions. If you decide to add more hash power you can do this easily by clicking upgrade hashpower while logged into your account. 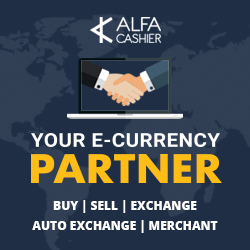 To manage your account information, wallets for the different coins and to add two factor authentification simply click my account. Their support is outstanding and they will address any questions or issues very fast! GENESIS-MINING is a very customer orientated company and does everything to make you happy. We highly recommend them and we are sure that they will remain growing bigger and bigger in the cloud mining business. Hey there, You’ve done a fantastic job. I’ll definitely digg it and in my view suggest to my friends.